This is a tricky one. Alcohol is basically made from sugar and therefore has a calorie (energy) value. But it’s less clear cut just how much of the energy is available for use by your body. Undoubtedly, alcohol metabolises at a different rates with different people. And questions have been raised as to just how this works from person to person. Science will say that alcohol has a definite calorie value. 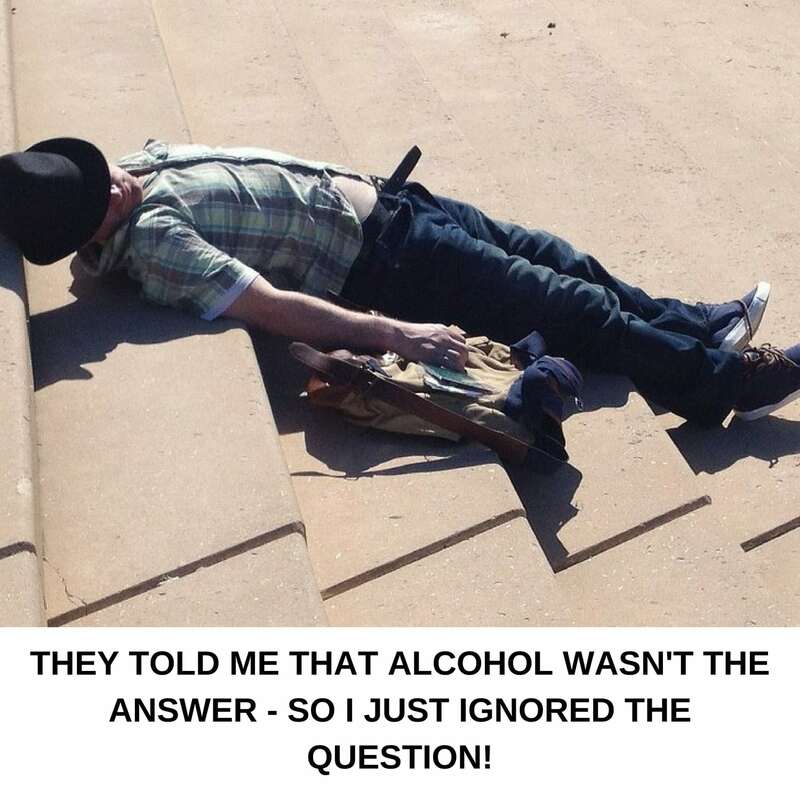 But in the real world, it seems that the effects of alcohol on weight loss are not listening to logic. Brigham Hospital in Boston USA performed a 13-year study of over 19,000 women regarding their eating and drinking habits and the results were startling. [1,2] When comparing equal calorie intakes between the participants, they found that women who drank 1-2 small glasses of wine per night were, on average, 30% less chance of being overweight and 70% less chance of being obese. In other words, the drinkers were eating less food because they included the calories from alcohol into their totals. Sorry, but it’s not okay to go out and get battered every night because there are a few points to note first. The participants were regular, not excessive drinkers. This is a big study with a lot of self-reporting and ‘averages’ calculated, so it’s hardly conclusive. The alcohol consumption was usually at home with a meal, rather than in a bar. However, these results fall into line with both our research and experience over the years that the caloric values of alcohol do not tally with their effect on weight loss. In fact, we’ve worked with hundreds of clients who have stopped drinking but frustratingly, have seen little difference in their weight loss progress. Without doubt they’ve felt better, but just not seen their weight fall in comparison to the reduction in calories from alcohol. Alcohol (or ethanol is it’s also known as) has now been elevated to the status of a food group. As such, it’s been allocated a calorie value of 7k/cals per gram. Yet, this wrong. Ethanol is a toxin (it’s poisonous) and is treated by your body completely differently to food. However, because it’s derived from some form of sugar, it can be used as a fuel source by your cells. But before that happens, your body does its utmost to get rid of it. Metabolising alcohol takes a lot of energy to process. It’s estimated that it costs your body about 20 calories of energy to metabolise every 100 calories of alcohol . Now can you see why the effects of alcohol on weight loss are not so cut and dried? Firstly, we’re not going to preach to you about health-related problems and alcohol intake. You’re an adult and should be treated as such with the decisions you make about your life. We’ll just say that if alcohol was invented today, then it would likely be categorised as a Class A drug. Like heroin or cocaine, alcohol is both highly toxic and addictive. How much is excessive? And how much can you drink before it seriously impacts on your goals? Sadly, these are impossible questions to answer. Why? Because it depends both upon the person in question and how serious are they about their goals. The only answer we offer is that the more important your goals, then the more important your diet. And only you can answer this. If this means abstaining completely from alcohol, then so be it – sometimes you must make sacrifices. Just remember that if you are trying to lose weight, then alcohol is definitely not your friend. Tip: To save calories, try vodka and slimline tonic or a white wine spritzer (with a low-sugar lemonade or soda). Brigham hospital: Wang, L, et al. Alcohol consumption, weight gain, and risk of becoming overweight in middle-aged and older women. Archives of Internal Medicine, 2010, 170(5), 453-461.